When it comes to choosing a succession strategy, business owners have a lot to consider. An Employee Stock Ownership Plan (ESOP) is a tax-advantaged transaction alternative to a merger or acquisition. An ESOP is an interesting cultural solution from an ownership standpoint as it allows a selling shareholder to transition the business to a broad base of employees. In the following podcast, Lindsay Baublitz of SC&H Capital discusses the benefits of evaluating ESOPs as you consider options that are a good fit to fulfill both company and ownership goals. Q: Can you tell us about ESOPs as a liquidity option and the benefits? ESOPs are an alternative option for selling a company. 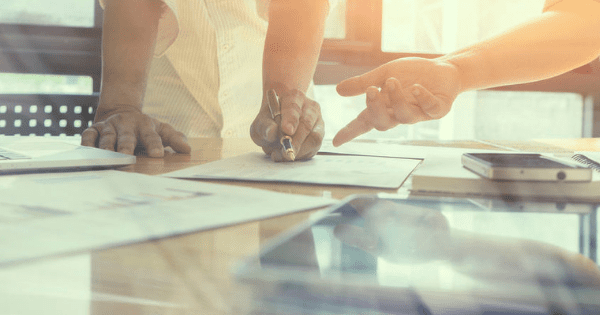 Rather than a business owner selling his company to a third party, a competitor, or even the existing management team, an ESOP allows the business owner to sell it to his employees and that’s done through a newly created trust. Most employees don’t have the cash to actually buy the share, so in this case they receive the shares over time as a retirement benefit through the ESOP. There’s three major benefits that I see to an ESOP. The first is there are substantial tax advantages and the tax advantages are for the selling shareholders as well as the actual companies that sponsor the plans. The second is the culture. ESOPs provide the business owners who feel strongly about their existing corporate culture the ability to keep that culture in place. The ESOP transactions allow the shareholders to share the stock and transfer the control of their firms gradually, so it’s not done all at once as it would be if it was in a third party transaction. The owners can slowly decrease their role in the company and they can remain active in the business years after selling to an ESOP. So it’s not like one day you’re the manager or the owner of the company and then the next day you’re gone and you’re replaced. So that continuation of the management team is usually helpful for the transition. This helps preserve the company’s culture and groom the future management team for their eventual leadership roles. The third benefit that I see is that ESOPs are an alternative to a third party sale, and a lot of times there are companies that just haven’t attracted the eye of a potential buyer and the owner still needs to create liquidity for the business that they’ve created. So an ESOP is an attractive option for that. Q: Are there any generational impacts when considering an ESOP? I’ve noticed that there’s a big difference in how the different generations perceive the ESOPs. I don’t think there’s any negative impact, or overly positive impact, for any one generation in particular, but there’s a definite difference in how they look at an ESOP. For the millennials, an ESOP is an ownership in the company so it’s a long term play, and the millennial generation tends to take an interest in how that works because it’s a pretty unique employee benefit that they typically aren’t exposed to in school. And it’s not a topic of conversation that they’re going to have in their friend group. I’ve noticed that millennials tend to want to work at companies where they feel like they can make a difference and where they support the company’s vision. And an ESOP is an attractive option for this because it shows that the company is dedicated to its employees. A company that says that they love their employees is different from a company that actually shows that through an ESOP by giving the stock in the company as a retirement benefit. But it’s not just the fact that the company has an ESOP and that they receive an annual statement every year with their stock balance. It’s the ESOP culture that goes with it that’s attractive. Some companies embrace that ESOP culture better than others and I think the ones that really embrace that culture are the companies that are going to have the biggest benefit in recruiting and retaining the millennial generation. Since the younger generation is just starting their careers they may have to move around to a few different companies before they find out where they fit best, and ESOPs typically have a one year waiting period before the employee can become a participant and then a five year vesting schedule after that. So it’s a bit longer of a time frame than, you know a 401k where you get your employee match, you see your balance there, and you’re sometimes completely vested in that. So, the vesting schedule can be a little bit different for millennials to understand, so it’s important for companies to educate their employees about this topic. And then for the older generation I’ve seen the opposite. They seem to grasp the retirement benefit aspect a little differently and they pay attention to the stock price more because it’s more relevant. An individual may be thinking about retiring in the next couple of years and it’s going to become actual cash for them. This generation tends to ask more questions about diversification and how the distribution process works, whereas millennials really don’t care about that yet. And they’re not as concerned with how they can make a positive impact in the stock price. I think Baby Boomers are in the camp of just working as hard as they can and hopefully the stock price will fall into place. Q: Are there any specific industries that fare better than others when implementing ESOPs? Yes, I think there’s definitely some that we see…that have more ESOPs involved and the first is government contracting. We perform a lot of ESOP valuations for government contractors and it’s interesting the way that the government contracts work. A lot of them are cost-plus. So, the government contractors are allowed to pass through a lot of the retirement benefit expenses and the ESOP contribution counts as a retirement benefit expense. So they can actually pass that through. The government will reimburse them for that expense. Essentially, the government is paying their retirement benefit to their employee and sometimes even at a premium or a 5% fee on top of that. So that’s really attractive for those types of companies. Another aspect for government contractors is that many tend to rely on set aside contracts. So if they’re a Women-Owned Business, a Service-Disabled Veteran-Owned Small Business, or just a small business, there’s certain set aside contracts that they depend on and that’s not really attractive for a lot of buyers out there because a buyer who’s larger than them won’t retain that same ownership structure to get the benefits of those contracts. So a lot of times they don’t have a lot of options to sell to a third party and an ESOP is a good option there. Another industry would be professional services. We see a lot of architectural firms and engineering firms, and I think one of the main reasons an ESOP is so attractive for them is that their people are their biggest asset. And what better way to retain your employees than to make them shareholders in the company? A final type of business would be a family-owned business. Family- owned businesses tend to have a long history of being closely held and a really defined culture, so I think the change in control aspect there is a little harder for a family owned business to handle if they were to sell to a third party. So an ESOPs attractive there. They get to slowly transition their control to a new management team instead of it all happening all at once. Q: What is the most effective method or style of communication to inform your employees about the move to an ESOP? I think this is a good question to touch on, especially after speaking to the generational impacts. The forms of communication can come in different avenues for different generations within firms. Right after a company completes an ESOP transaction the employees have to be educated about how it will affect them. I think the most successful ESOPs that really embrace the ESOP culture are the ones that go into depth about why the owner selected an ESOP. It really shows the employees that the owners care about them and chose to give the shares in the company to the employees, rather than, you know, look out for their own best interest. So I think that goes a long way with employees. Most people are unfamiliar with what ESOPs are. So it’s always strange to hear “Oh, we’re an ESOP.” I think it’s really important that after an ESOP transaction there becomes an ESOP education strategy in place. Obviously face to face is the best way. It gives employees opportunities to ask questions. So I recommend that after some of our clients finish their ESOP transaction that they physically have a meeting where they inform everyone about what happened, provide a presentation, and give employees the opportunity to ask questions. A lot of times if the client has more than one office they could have a firm-wide meeting over the phone, but then follow it up by a road show where they travel to each individual office to give everyone the opportunity to ask questions. It’s a lot to take in, so I think frequent ESOP education meetings should be implemented. During the ESOP transaction process the company has the opportunity to work with a lot of different consultants who are really familiar with ESOPs, and this could be either their attorneys that work with them, and business appraisers, like us – we do a lot of business valuations for ESOPs. They work with a trustee and the third party administrator that actually maintains the ongoing operations of the ESOP. And these people in these roles can be resources to the owners in communicating the ESOP to the employees. So, really, transparency is key and the more education, the better. If you have any questions or would like to learn more about ESOPs, please visit SCHCapital.com or contact our team here to begin a discussion today.